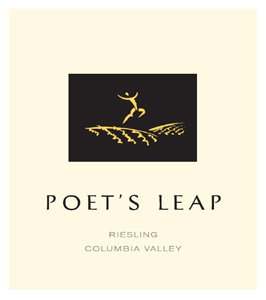 The 2017 Poet’s Leap Riesling brings together an outstanding collection of the Columbia Valley’s best Riesling vineyards. Just over half the blend is from German clones planted for Poet’s Leap at The Benches in the Horse Heaven Hills to give the wine its distinct minerality. Yakima Valley’s Phil Church Vineyard adds liveliness. Vines planted in 1972 at Dionysus combine with Weinbau Riesling to contribute peach and honey aromas and flavors to the blend, and grapes from Underwood Mountain in the Columbia Gorge add complexity and bright, vibrant acidity. Handpicked grapes were sorted and gently whole cluster pressed to avoid imparting bitterness in the finished wine before fermenting in stainless steel tanks at a cool 60°F to preserve fresh fruit aromas and flavors. Afterwards, the winemaking team carefully evaluated each lot, using only those components that contributed to a perfectly balanced final blend.